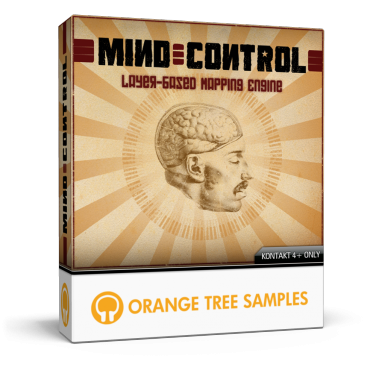 Give your sample libraries a mind of their own with Orange Tree Samples' MIND CONTROL™ add-on for KONTAKT 4 / 5. 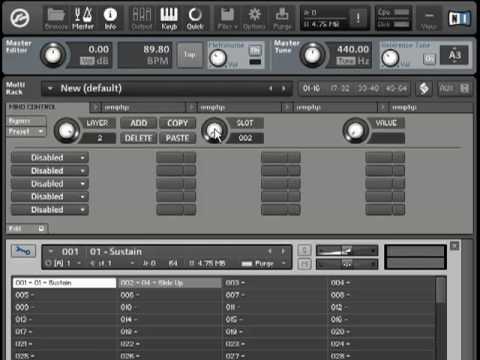 MIND CONTROL maximizes KONTAKT's "instrument bank" feature, which allows you to drag entire sample libraries into KONTAKT. 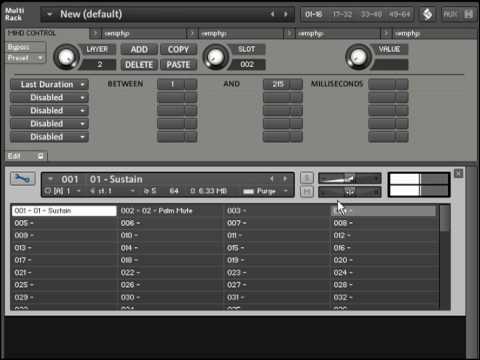 It introduces a user-friendly master interface to let you create rules for how KONTAKT should automatically switch between sample libraries, making sequencing or performing more convenient and intuitive. The switching can be based on simple elements like pitch, velocity, or controller ranges as well as more advanced ones, such as your own latching and non-latching keyswitches. You can even add randomness into the equation! MIND CONTROL even comes with a small guitar sample library with which you can conduct your first experiments on. The sample library features three velocity layers, round-robin, and articulations such as palm muting, whole-step slides, grace notes, and more. MIND CONTROL requires KONTAKT 4 or KONTAKT5--since it uses a multi-script, it will not work in earlier versions of KONTAKT.